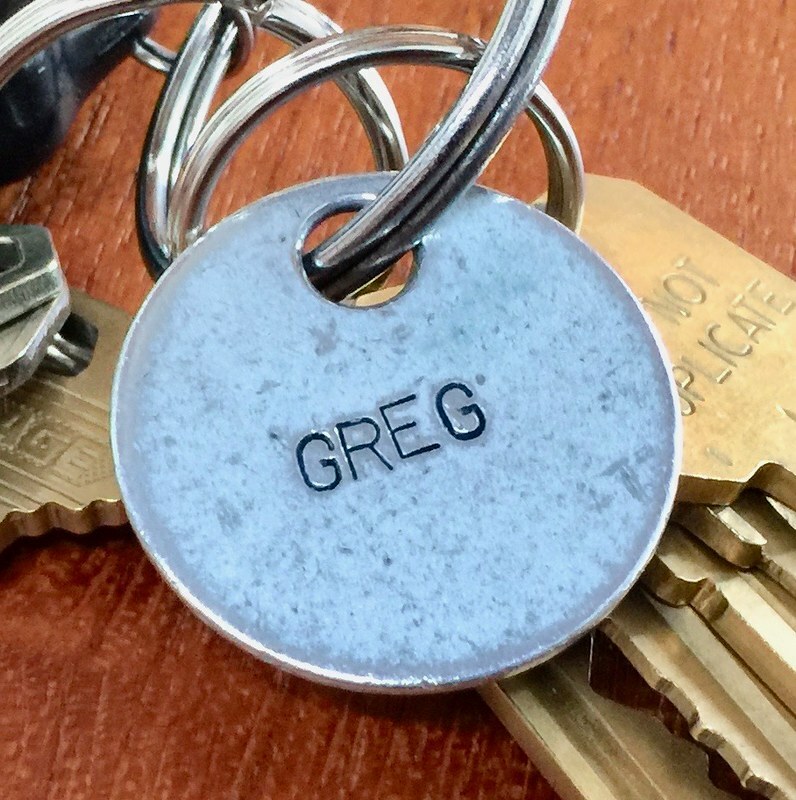 When we bought our first house in 2002, our real estate agent met me at work to hand off the keys — one set for me and one for my husband, Greg. She had anodized aluminum tags for each set, and judging by the way they looked, I’m guessing she had them made at the pet store. Originally they were blue, but the color’s been loved off over the years. One time Greg and I swapped car keys and we never swapped back. So I’ve been carrying his GREG tag on my keys for at least ten years. The crooked R just kills me. I met up with our agent years later and we became friends. At one point I proudly showed her that I still had Greg’s tag, and she said, “Oh my gosh. I really gave you that? That is so janky!” But I just love it, and can’t imagine taking it off my key ring.